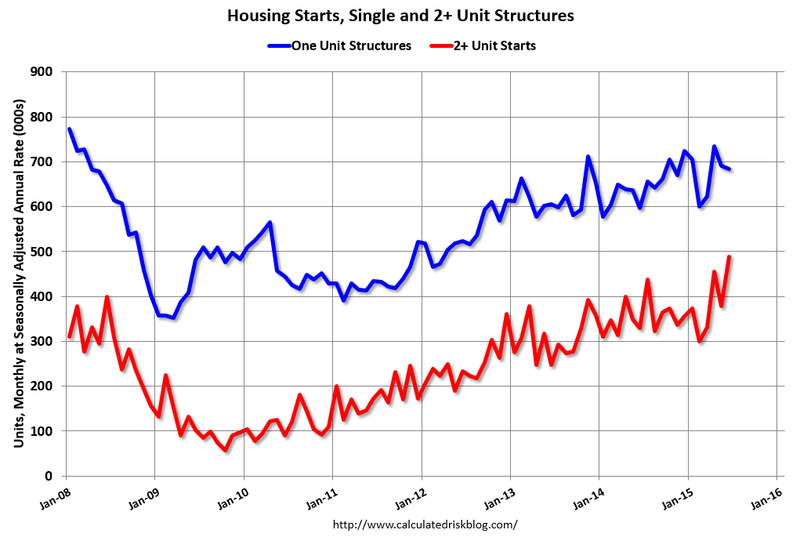 Housing starts still have legs to run! With household formation still rising and rental demand booming in year seven of this economic cycle, the softness of single family construction can be tolerated by the economy. 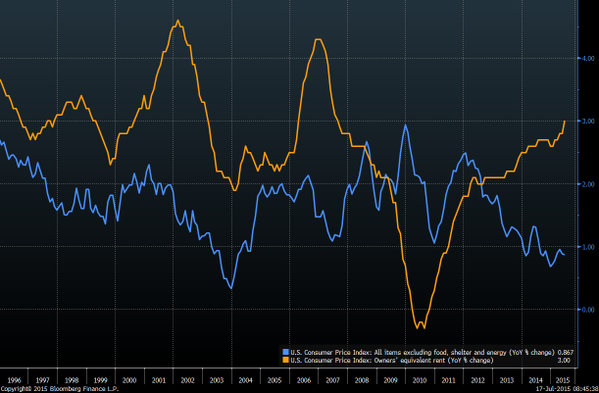 Core inflation is soft, but it’s being held up by rent inflation. More supply is needed in the rental market so kudos are due to builders for constructing multifamily rentals instead of single family residences. Some (#NAR) have been screaming for more single family residential construction but the demand for these bigger new homes isn’t as strong as these folks expected. Core inflation without shelter costs is still very soft, (the blue line below), while rent inflation is booming (yellow line). Context is key with this cycle and charts below are very telling. Privately owned housing starts are creeping up from a great recession low. Even with the strong rental demand, total housing starts have been slow. However, since we over built privately owned homes and under built homes to rent in the last cycle, we shouldn’t should be surprised by the low total starts. The demand for home ownership will increase in years 2020-2024 due to the increase in dual income, college educated households starting families. 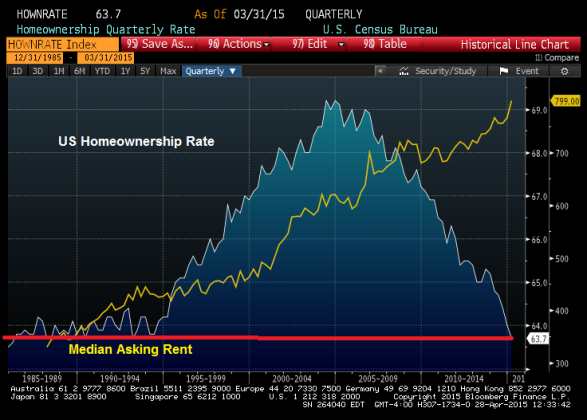 However, until then, the most urgent issue is to find a way to cool down housing inflation in the rental market. Presently,cash buyers, wealthy foreign buyers and strong income domestic buyers have been holding up housing demand. I don’t see any a change in this dynamic until years 2020-2024. Posted in Uncategorized and tagged Apartments, Housing Starts, Multi family, Renting. Bookmark the permalink.